A land abundant in mineral oil awards both its producer as well as the market. Middle Eastern countries immediately come to mind. But somewhere in Eurasia, Azerbaijan’s land boasts of similar potential. The country’s remarkable economic growth led Azerbaijani manat to surpass the US dollar, dropping the exchange rate to 0.79AZN per 1 USD. This is proof of the government’s aggressive strategies. Azerbaijan sprung on the boarders of Russia and Europe, close to the Caucasus Mountains. Its favorable location between two established continents, and its proximity to the Caspian Sea, made it a convenient trade partner. The manat has surfaced alongside the major currencies marking its spot in oil export. Its symbol is not yet on Unicode, but an abbreviation commonly used is man., or its ISO code; AZN. One hundred qapiks will make 1 manat. Currently circulating are its denominations in 1, 3, 5, 10, 20, and 50 qapik coins; and 1, 5, 10, 20, 50, and 100 manat banknotes. The manat replaced the Soviet ruble, with exchange at 10 rubles per 1 manat, in its second appearance on August 15, 1992. It’s establishing a value that, if proven to be stable in years or so, can put the manat at par with the other large financial counterparts. Due to its geographical area, some of the basic needs have gone beyond the middle cost of living for excited tourists. Azerbaijan’s strength relies on the oil export but may develop tendencies to disregard the flow of future investors and prospective alternative market opportunities within its borders. The bills’ designs were simple, with a monochromatic scheme and few important texts. Sadly, tourists are not allowed to take this currency home. Azerbaijan’s law restricts the import and export of its currency to its residents only, and with certain provisions. 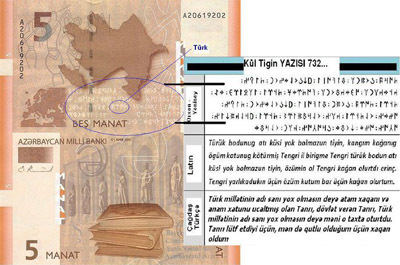 The Azerbaijani manat is exchangeable with currencies like the US dollar. Just remember to keep the receipts or any important forms issued upon transactions to avoid problems. Like any currency, treat the manat with respect meant for a symbol of a nation’s progress. Put them in something they could be quietly cared for.